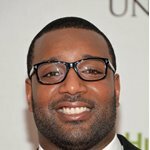 Place of Birth The Bronx, New York City, New York, U.S.
Chris Canty is an American football defensive tackle for the New York Giants of the National Football League. He was drafted by the Dallas Cowboys in the fourth round of the 2005 NFL Draft. He played college football at Virginia. 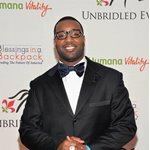 In 2003, Canty was named second-team All-ACC, Lineman of the Year in Virginia and recipient of the Ned McDonald Award as UVA's Most Outstanding Defensive Player after registering a career-high 104 tackles, 12 tackles for losses, 12 pressures and four sacks. He became only the second down lineman in school history to record more than 100 tackles in a season. His schoolwork also helped him earn All-ACC Academic honors. 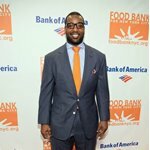 In 2004, Canty received his bachelor's degree in African American studies in May 2004 and took graduate course work in secondary education during his senior season. In 2004, Canty's season was cut short in the fourth game of the season when he tore his ACL, MCL and PCL in his left knee. At the time, he had posted 30 tackles, seven tackles for losses, a sack and a forced fumble. 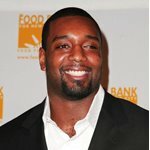 Canty was drafted in the fourth round (132nd overall pick) of the 2005 NFL Draft by the Dallas Cowboys. After entering his senior season as a potential first round draft choice, Canty fell into the fourth round because of the knee injury during his senior season as well as a detached retina in his left eye, suffered in the spring prior to the draft. 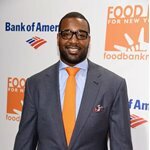 After trading a fifth round pick in 2005 and a fourth rounder in 2006 to the Philadelphia Eagles for their fourth round choice, allowing the Cowboys to draft Canty. 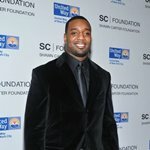 Canty signed a three-year, $1.3 million contract with the Cowboys. After working throughout the spring and summer to rehabilitate his knee and recover from injured retina, Canty was on the field one week into training camp. He split time with Greg Ellis at right defensive end and led all defensive linemen with 43 tackles. He was also second on the team with five tackles behind the line of scrimmage and tied for fourth on the club with 2.5 sacks. 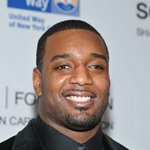 On March 1, 2009 Canty signed with the New York Giants; the six-year contract is worth $42 million, with $17.25 million guaranteed. In 2011, Canty registered career-high marks in tackles (47) and sacks (4). 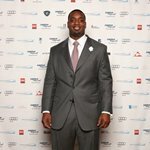 On August 27, 2012, Canty was placed on the physically unable to perform list after it was determined he would need more time to recover from off-season knee surgery. He will be eligible to be activated off the PUP list after the completion of the first six games.